US and Korean attitudes towards one another are largely based on their understanding of the past relationship between the two countries. Far from being a "forgotten war," most Americans have an understanding that US forces fought and died on the Korean Peninsula in the 1950s. Their basic attitude towards Korea still has elements of protectiveness. They also know that Korea is an economic powerhouse and are familiar with Korean products. In sum, Americans today view the Republic of Korea as a success story of American foreign policy. Korean attitudes towards the United States, based on their understanding of history, are more complicated. Gratitude remains for the US sacrifices of the Korean War, particularly among the older generation, although patriotic organizations, and some movie makers, are trying to ensure that knowledge of the war is passed along to the younger population. Yet, there is a belief, particularly among progressives, that postwar US support for authoritarian figures including presidents Syngman Rhee, Park Chung-hee, and Chun Doo-hwan at the expense of the democratic development of Korea still matters. If the United States, indeed, sided at the time with conservative authoritarians against progressive democratic politicians, then it would be unsurprising if the latter’s descendants continued to believe that it was biased against them. This distrust could make policy cooperation more difficult between the US government and a future progressive Korean government. This article shows that the US government, although primarily interested in short-term political stability, was also committed from the beginning to Korea’s long-term democratic development, and was more interested in the overall welfare of Korea than it was in propping up any individual leader or party. This has relevance for today. An examination of previously classified documents can be corrective by telling us about long-term US attitudes and can serve as an antidote to both deep-seated misunderstanding and to short-term political moods. Syngman Rhee was, however, also autocratic, capricious, inflexible, and corrupt in the eyes of his contemporaries.2 Rhee was politically controversial even in exile. He served as president of the Provisional Government of the Republic of Korea in Exile from 1919 until 1925, when he was impeached over allegations of misuse of power. For all his flaws, he was a brave symbol of South Korea throughout the Korean War and was elected president by the National Assembly in July 1948 with 92.3% of the votes cast. Rhee cracked down on political opposition, detained and tortured those whom he deemed communist agents, and his regime was perceived as notoriously corrupt. In 1952, when it became apparent that he would lose reelection by the National Assembly, Rhee ordered the arrest of opposition figures and forced through an amendment to the Constitution to have the next election decided by popular vote, which he then won. Green recalled that on April 25, 1960: “Tanks were lining up with their barrels facing out towards what were going to be the advancing phalanxes of student. In other words, carnage was impending. Ambassador McConaughy and Minister of Defense Kim, called up Syngman Rhee and urged that he meet with them, which he did. As a result, before the students actually reached the palace, Syngman Rhee announced that he was going to meet the grievances of the people, and that he was going to consider the question of his continuation in office. I remember that when the Ambassador drove back from his meeting with Rhee, the Embassy was surrounded by thousands of people cheering the American government, the American people.”5 On April 26 , a CIA airplane flew Rhee out of Korea to Honolulu, where he spent the remaining five years of his life before dying of a stroke. When the US government decided it had to act, it sided with Korean students and protesters, not with the Korean leader with whom it had worked for decades. It was led by Republican Eisenhower, staunchly anti-communist Secretary of State John Foster Dulles and the Cold War Director of the CIA, Allen Dulles—a team rarely accused of harboring leftist sympathies. Contrary to later claims that the US government orchestrated Park Chung-hee’s military coup, documentary evidence based on classified documents shows that it intended to side with the Korean government and military establishment in putting down the coup. It seems that Korean politicians and military leaders in 1961 were disheartened by their inability to bring order to Korea following Rhee’s departure, and were at least resigned to, if not in favor of, Park’s military takeover. As the italicized language (my emphasis) in the above paragraph indicates, Park, for his part, did not expect support from the United States. An August 21, 1969 summit planned between President Park and President Nixon in San Francisco created a need for US intelligence services to reassess the political situation in South Korea, particularly in light of the upcoming 1971 elections. There was growing concern that Park would decide to run regardless of the constitutional constraints. During the 1960s, a single-minded focus in Washington on the Vietnam War had led to inattention to other parts of Asia, including South Korea. What they saw in South Korea during the summit preparations was worrying. On April 27, Park was re-elected for a third term with a vote of 6,342,828 over Kim’s 5,395,000. A post-election memorandum from the State Department to Kissinger concluded: “A strong and forceful president who has moved Korea ahead has been returned to office; and a vigorous opposition will sit in the Assembly with enough clout to make certain there is no sliding back to repressive rule.”17 This optimistic assessment was ill-founded. In October 1972, Park dissolved the National Assembly and suspended the 1963 Constitution. On December 13, Ambassador Philip Habib met with Park. “Without further ado, Park launched into a fairly lengthy statement regarding the declaration of emergency in Korea. [Park] wanted to place particular emphasis on U.S. understanding of the matter,” explaining that he had felt compelled to act because of dangers facing South Korea. Habib said that the United States had no evidence a North Korean attack was imminent, and that Park must know that. Park promised to review the latest joint military assessment but argued that Kim Il-sung had the ability to attack at any time, in any case. “Park said he does not expect complete understanding in the U.S. for his actions. There are even people in Korea who do not understand the true picture. As President, he was responsible to take all measures to protect the security of his country.” Habib gave himself the last word: “I replied we understood his concern for the security of his nation and we had demonstrated our commitment to that security for many years,” adding that the summit Park was seeking with Nixon would not be possible. It is clear from Habib’s first-person cable that his meeting with Park Chung-hee was tense.20 The relationship between the United States and Park Chung-hee’s Korea then settled into an uneasy status quo. In July 1979, Carter met Park in Seoul while returning from a G7 meeting in Tokyo. Carter was still on the fence regarding withdrawing troops from Korea, but the troops remained in place pending his decision. He did not like being reminded that the matter was still pending and his aides sent word to Park to not raise the issue in their first meeting. Park ignored the warning and argued to Carter against a troop withdrawal and spoke to the point for 45 minutes. Carter then talked privately with Park about his concerns regarding human rights, returned to his limousine, furious, and stalled the motorcade while, in Secretary of State Cyrus Vance’s account, he “unburdened himself,” threatening to announce a withdrawal of troops on the spot.23 A few weeks later, back in Washington, Carter suspended a decision on the troop withdrawal until 1981, when the situation would be reexamined. But by 1981, Carter was out of office and Park was dead, having been assassinated by Director of the KCIA Kim Jae-kyu on October 26, 1979. In the immediate aftermath of Park’s assassination, there was confusion regarding the procedures for succession. Not until December 6 did Prime Minister Choi Kyu-ha become acting president. Army Chief of Staff Jeong Seung-hwa shortly afterwards ordered Major General Chun Doo-hwan, as head of the Security Command, to investigate the circumstances of the assassination. Chun created a “Joint Investigation Headquarters” which put him in charge of all South Korean intelligence services. From that position of power, Chun ordered the arrest of Jeong on December 12, 1979 on the charge of conspiring in the assassination. Chun took control of the government in all but name. In April 1980, Chun promoted himself to the rank of lieutenant general and appointed himself director of the Korean CIA (KCIA). The parallel between the 1960 and 1979 instances of military leaders maneuvering into positions of power during times of government instability suggests itself. That assessment proved accurate. The authors mistakenly believed, however, that “The military will be content to let the police handle student demonstrations and will be reluctant to sully the image of the military by using troops to quell student protests.” Only four days after the memorandum was presented to the National Security Council, Chun ordered the military, using tanks and helicopter gunships, to suppress protestors in the city of Gwangju who had taken over City Hall. The May 18 massacre in Gwangju was a defining moment in modern Korean history and Chun Doo Hwan is forever associated with it. Strikingly similar to Marshall Green’s description of Ambassador McConaughy’s final meeting with Syngman Rhee in 1960 is Foreign Service Officer Thomas Dunlop’s description of Ambassador Lilley’s crucial meeting with Chun Doo-hwan in 1987: “I contacted Ambassador Lilley and told him that the letter [From President Reagan to President Chun] was on the way and I would make an appointment for Ambassador Lilley to call on President Chun on the afternoon of Thursday, June 18. I had a horrible feeling [following an initial refusal to schedule the meeting] that Chun had already made up his mind and didn’t want to receive the letter in person. Finally, the appointment was set up for 2:00 pm on the afternoon of Friday, June 19. Just an hour before he went in to see President Chun, there was an announcement over the radio that the Prime Minister would address the nation at midnight that day. I thought, ‘My God, that means that martial law is about to be declared.’” Lilley met, alone, with Chun for two hours. Dunlop described the contents of Reagan’s letter as informing Chun that the “Korean-American alliance would be under severe strain if the political process broke down and if the presidential elections were cancelled.”34 Late in the afternoon, the prime minister’s radio address was cancelled. Dunlop does not believe that Chun backed away from declaring martial law and cancelling elections solely because of Reagan’s message—Korean officials and military officers were giving him similar advice—but the timing of events on June 19 was so compressed that US pressure may have tipped the balance. South Korea held its first free national election for president on December 16. The 2010 Wikileaks release of over 200,000 State Department cables revealed that there is remarkably little difference between what the US Government says publicly and what it says privately. Conspiracy theorists were disappointed. Even if they provide few surprises, declassified documents can tell us how the government assessed situations, and the choice of words can tell us about attitudes and preferences. Referring to Chun as a “strongman” was uncomplimentary. Korean conservatives blamed students for campus riots: US classified documents blamed Chun Doo-hwan for mismanaging the situation. Reviewing US dealings with Syngman Rhee, Park Chung-hee, and Chun Doo-hwan is a useful exercise for current policy makers, because we are examining the experiences of people rather than the history of nations. South Koreans aged in their 40s remember Park’s assassination, Chun’s rule, and the Gwangju massacre. Americans, whose knowledge of South Korea has been formed only during the recent era of South Korean democracy, found it preposterous when rumors surfaced in South Korea at the end of 2016 that President Park Geun-hye was considering imposing martial law.35 The rumors may have been ill-founded, but they were not ridiculous to middle-aged and older Koreans given their personal experience. Martial law in South Korea only ended in 1981, and continued virtually well into the 1980s. Of course, documentary history reveals its share of U.S. government misjudgments and mistakes. Those who look for evidence that it supported authoritarian regimes at the expense of democratic development during the Cold War, including in South Korea, can find pieces of evidence to support that belief. However, the preponderance of evidence regarding Korea shows that Washington generally favored democracy over rule by individuals, even when those individuals claimed to be US allies. This was a pragmatic as well as an ethical choice. US officials consistently believed that authoritarianism in Korea would lead to political instability rather than prevent it. 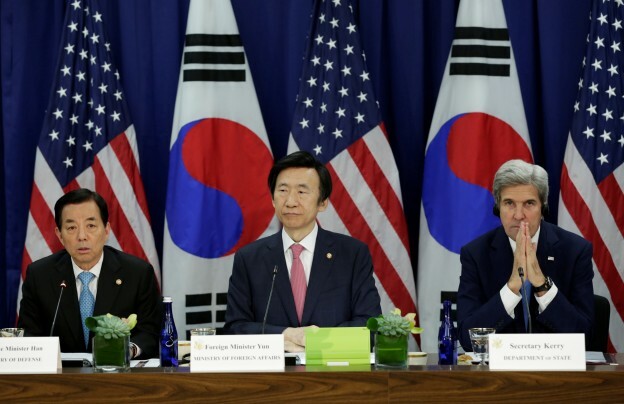 The United States can be fairly charged with interfering in South Korean domestic politics. If your belief is that authoritarian rule was necessary during the 1960s and 1970s to protect South Korea against North Korea and against leftist, domestic subversion, then the United States was wrongly putting South Korea at risk by nudging Rhee and, more or less, pushing Chun out of power. Although it actively intervened only rarely, and when it believed bloodshed was imminent, when it did so, it chose the side of democracy. This is not a history of neutrality. Koreans today can look back and see that the United States had a productive relationship with Korean authoritarian governments. That may create the impression of US support for those regimes. The evidence, however, shows that it dealt with authoritarian regimes out of necessity, not out of choice. Today’s Korean political parties, both right of center and left of center, are equally the political descendants of those the United States supported in postwar Korea–because today both support constitutional democracy. 1. Max Hastings, Max. The Korean War (London: Macmillan , 1987). 3. Allen Dulles, "Intelligence Report (IR) 6136." Record Group 59. Washington, D.C.: Office of Intelligence Research, Department of State, 23 December 1952. 4. NSC Briefing. "National Security Council Briefing." CIA-RDP79R00890A000400020036-2. 5 October 1954. 5. Marshall Green, "The Fall of South Korean Strongman Syngman Rhee–April 26, 1960." Moments in Diplomatic History, Association for Diplomatic Studies and Training (1988): 27. Moments in U.S. Diplomatic History. 6. Cho, Ilsoo David, “The 1961 May 16 Coup,” Wilson Center Digital Archive, 10 January, 2017., http://digitalarchive.wilsoncenter.org/resource/modern-korean-history-portal/the-1961-may-16-coup/references. 8. CIA, Current Intelligence Weekly Summary, No. 71, July 6, 1961. 9. Daniel J. Lawler, Erin R. Mahan and Edward C. Keefer. Foreign Relations of the United States, 1969-1976, Vol. XIX, Part 1, Korea, 1969-1972 (Washington DC: US Government Publishing Office, April 2010). 10. NSC, Minutes of a National Security Council Meeting, 34. 11. State Department. "The Korean Presidential Campaign." Memorandum from the Executive Secretary of the Department of State to the President’s Assistant for National Security Affairs, 77. 6 November 1970. 12. Robert Houdek, "Cover note from Houdek to Kissinger." National Archives, Nixon Presidential Materials, NSC Files, Box 542, Country Files, Far East, Korea, Vol. III, 6/70–Dec 70. Confidential. 6 December 1970. 13. Lawler, Mahan, and Keefer. Foreign Relations of the United States. 14. John Holdridge, "Memorandum from John H. Holdridge of the National Security Staff to the President’s Assistant for National Security Affairs, 70." National Archives, Nixon Presidential Materials, NSC File, Box 542, Country Files, Far East, Korea, Vol. III, 6/70-Dec 70. Secret1970. 23 December 1970. 15. Porter. "Telegram from the Embassy in Korea to the Department of State, 85. Confidential." Foreign Relations of the United States, 1969-1976, Volume XIX, Part 1, Korea, 1969-1072. 27 January 1971. 16. "Telegram from the Department of State to the Embassy in Korea: Kim Tae-chung in Washington." Foreign Relations of the United States, 1969-1976, Volume XIX, Part 1, Korea, 1969-1972, 87. 3 February 1971. 17. Theodore Eliot, Jr. "Editorial Note, 93." Foreign Relatins of the United States, 1969-1976, Volume XIX, Part 1, Korea, 1969-1972. 28 May 1971. 18. "From the Embassy in Korea to the Department of State, 117, Secret." Foreign Relations of the United States, 1969-1976,, Volume XIX, Part 1, Korea, 1969-1972. 2 December 1971. 19. "Airgram from the Embassy in Korea to the Department of State: U.S. Policy in Korea–Country Team Message. Secret. 170." Foreign Relations of the United States, 1969-1976, Volume XIX, Part 1, Korea, 1969-1972. 10 December 1972. 20. "From the Embassy in Korea to the Department of State: First person from the Ambassador, 119, Secret." Foreign Relations of the United States, 1969-1976, Volume XIX, Part 1, Korea, 1969-1972. 13 December 1971. 21. "Report: South Korea: The Outlook for the Pak Government." CIA-RDP79R01099A00160000400003-4, Secret. 17 September 1974. 22. Joe Wood, "Persuading a President: Jimmy Carter and American Troops in Korea." Study prepared for the CIA’s Center for the Study of Intelligence. 1996. 24. Stansfield Turner, "Alert Memorandum for the National Security Council, Top Secret." CIA-RDP83B01027R000200020024-8. 9 May 1980. 26. "Intelligence Memorandum: Political Reconstruction in South Korea: A Difficult Road." CIA-RDP85T00287R000101140001-6. 14 May 1980. 27. "South Korea: The Political Scene in the Post-Summit Period, Secret." CIA-RDP04T00367R000302070001-1. 21 September 1984. 28. "South Korea: Retreat from Campus Liberalization Program, Secret." CIA-RDP85T00287R001001170002-2. 28 December 1984. 29. "South Korea: Where Does Chun Go From Here?" CIA-RDP85T01058R000100990001-7. 22 February 1985. 30. "Intelligence Assessment: South Korea: The Rise in Anti-US Incidents, Secret." CIA-RDP04T00447R00200840001-0. June 1985. "South Korea: Chun Walks a Tightrope, Secret." CIA-RDP87S00734R000100030039-0. 21 August 1985. 31. "Intelligence Assessment: South Korea: Warning Signs of Political Change, Secret." CIA-RDP86T00590R000400620002-2. December 1985. 32. "South Korea: Reenacting the Phlilppine Drama?" CIA-RDP86T01017R000605920001-8. 31 March 1986. 33. "Memorandum to the Director of Central Intelligence: The Time Bomb is Ticking, Secret." CIA-RDP88G01116R000901160003-2. 25 November 1986. 34. Dunlop, Thomas. "Delivering the Mail and Avoiding Martial Law in South Korea, 1987." Moments in U.S. Diplomatic History: Association for Diplomatic Studies and Training (2013). 35. Han-soo Lee. "Is South Korean President Considering Martial Law?" The Korea Times, November 18, 2016.